Festival planning takes tremendous foresight. Even if you’ve just completed an event—whether it’s your first or one that you’ve been managing for several years—you’re undoubtedly gearing up to make next year’s event an even bigger success. Once a festival ends, you immediately have a lot on your plate to consider for next year. From working on the artists you want, the venue you want, agreements and contracts, power and attendee needs, to food vendors, credit card processing, ATMs, and more, the list can seem endless. Unfortunately, planning for your festival Internet and WiFi solutions often gets delayed way too long. We strongly encourage you to start as early as possible, so don’t wait until the last minute. Here’s why. Internet and WiFi decisions should be made several months or more in advance. So, the longer you wait, the more expensive Internet and WiFi costs can become. In fact, by starting your Internet and WiFi thought process now, everything from your technical to financial concerns—and everything in between—will run much more smoothly. The faster we can engage with all of your cross-functional groups (such as ticketing and access control, PoS, artist relations, BoH production, and more) the better budgetary outlook we can provide for your event. Last minute Internet and WiFi preparations? Not so good. From a technical standpoint, keep in mind that it can take a minimum of 90 days to order fiber Internet connections from a local carrier. That means you can’t wait until you’re 17 days out from your event requiring a service that will take three months to install. And if extra capacity is needed to support your event, that timeframe can expand even more. In addition, if the service requires construction due to the lack of a facility, plan on stretching those three months to up to six months before everything’s installed and operational. The earlier we can commit to establishing a contract with a local carrier, the more bargaining power we have. That, in turn, will save you money. Proper timing is everything to ensure that the capacity needed will be available for the lowest possible price point. Add to that permit applications with the city, design execution and approval, as well as properly planning for adequate bandwidth for your event. The last thing you need is to get hit with any expedite fees. Avoiding those alone can save you a considerable amount of money. We can’t emphasize enough how proper Internet and WiFi planning now will help ensure an even better festival next year. Once you have your physical placement mapped out (such as beverage sales, food, merchandising, production area, etc. ), we can then step in to further map out your Internet and WiFi requirements. The earlier you have your physical plans in place, the faster we can determine what’s best for your Internet and WiFi requirements. You’ll be glad to know that the sooner you’re able to commit to working with us, the better we’re able to reward you with a more attractive pricing structure. Gaining your commitment early in the festival planning process not only helps us with our business activity projections for the year, it also helps us provide the best pricing possible based on our clients’ early commitments. And that’s a win-win for everyone. Bottom line, we want to know as far in advance if we’re going to be working on your next event. And don’t worry if you don’t yet have your layout map finalized. You don’t need everything worked out to perfection. We can work off of your previous event’s map and develop a budgetary model for review. We’ll then take a close look at anything that could potentially change and determine anything else we need from you. Once you get that to us, we’ll then prepare a final design and cost structure. Instead of waiting, why not get started on your festival Internet and WiFi planning now? 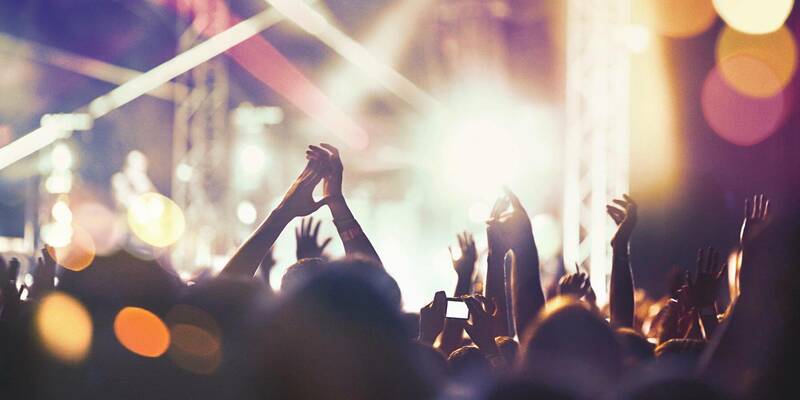 By the time you’re ready to kick off your next festival event, you’ll be glad you did. Contact us today for a free quote!